Thats all. Game finished - Melbourne City FC 2, Wellington Phoenix 0. Second Half ended - Melbourne City FC 2, Wellington Phoenix 0. David Williams - Wellington Phoenix - won a free kick on the right wing. Riley McGree - Melbourne City FC - won a free kick in defence. Missed chance. Dario Vidosic - Melbourne City FC - shot with right foot from outside the box is very close to the goal from a free kick. Riley McGree - Melbourne City FC - won a free kick in attack. Offside - Melbourne City FC. Florin Berenguer with a pass, however Dario Vidosic is in offside. Louis Fenton - Wellington Phoenix - won a free kick in defence. Substitution - Melbourne City FC. Connor Metcalfe for Bruno Fornaroli. Bart Schenkeveld - Melbourne City FC - won a free kick in defence. Substitution - Wellington Phoenix. Alex Rufer for Mandi. Corner - Melbourne City FC. Conceded by Louis Fenton. New attacking attempt. Riley McGree - Melbourne City FC - shot with left foot from outside the box is saved in the left corner. Assist - Florin Berenguer. Substitution - Melbourne City FC. Rostyn Griffiths for Lachlan Wales. Missed chance. Michal Kopczynski - Wellington Phoenix - shot with right foot from the centre of the box goes high. Tom Doyle - Wellington Phoenix - won a free kick on the left wing. Shot blocked. Roy Krishna - Wellington Phoenix - shot with left foot from the right side of the box is blocked. Assist - Mitch Nichols. 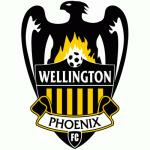 Corner - Wellington Phoenix. Conceded by Scott Jamieson. Substitution - Wellington Phoenix. Michal Kopczynski for Sarpreet Singh. 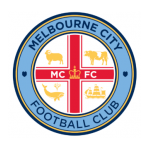 Delay in match Bart Schenkeveld - Melbourne City FC - - injury. Substitution - Wellington Phoenix. Max Burgess for Andrew Durante. Missed chance. David Williams - Wellington Phoenix - shot with left foot from a diffucult position on the left is very close to the goal. Assist - Filip Kurto. 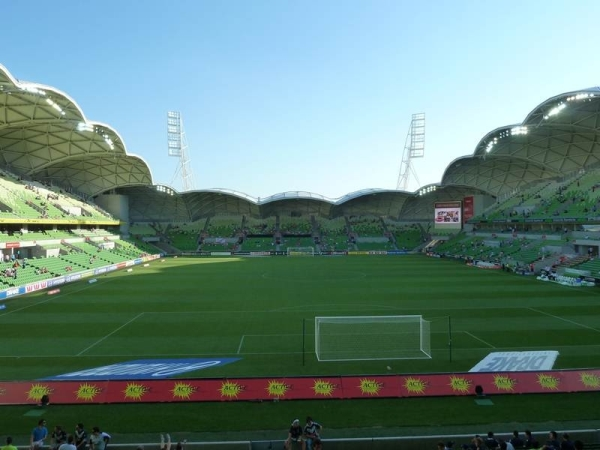 Delay in match - Melbourne City FC Video Review. Shot blocked. Mandi - Wellington Phoenix - shot with right foot from outside the box is blocked. Assist - Sarpreet Singh. Harrison Delbridge - Melbourne City FC - receive yellow card for a foul. Steven Taylor - Wellington Phoenix - won a free kick on the right wing. Louis Fenton - Wellington Phoenix - receive yellow card for a foul. Dario Vidosic - Melbourne City FC - won a free kick on the left wing. Goal! Melbourne City FC 2, Wellington Phoenix 0. Bruno Fornaroli - Melbourne City FC - shot with right foot from outside the box to the top right corner. Assist - Riley McGree. Florin Berenguer - Melbourne City FC - won a free kick on the right wing. New attacking attempt. Bruno Fornaroli - Melbourne City FC - shot with right foot from the centre of the box is saved by goalkeeper in the centre of the goal. Assist - Florin Berenguer. Roy Krishna - Wellington Phoenix - won a free kick on the right wing. Substitution - Melbourne City FC. Dario Vidosic for Nathaniel Atkinson. Missed chance. Nathaniel Atkinson - Melbourne City FC - shot with right foot from the centre of the box is high and wide to the right. Assist - Scott Jamieson. Mitch Nichols - Wellington Phoenix - receive yellow card for a foul. Riley McGree - Melbourne City FC - won a free kick on the left wing. Kearyn Baccus - Melbourne City FC - receive yellow card for a foul. Sarpreet Singh - Wellington Phoenix - won a free kick in defence. Second Half starts Melbourne City FC 1, Wellington Phoenix 0. First Half ended - Melbourne City FC 1, Wellington Phoenix 0. Offside - Wellington Phoenix. Tom Doyle with a pass, however David Williams is in offside. Missed chance. Bruno Fornaroli - Melbourne City FC - shot with right foot from outside the box is high and wide to the left from a free kick. Bruno Fornaroli - Melbourne City FC - won a free kick in attack. Shot blocked. Florin Berenguer - Melbourne City FC - shot with right foot from the centre of the box is blocked. New attacking attempt. Bruno Fornaroli - Melbourne City FC - shot with right foot from the centre of the box is saved in the right corner. Assist - Lachlan Wales. New attacking attempt. Bruno Fornaroli - Melbourne City FC - shot with right foot from outside the box is saved in the right corner. Mandi - Wellington Phoenix - won a free kick in attack. Offside - Melbourne City FC. Ritchie de Laet with a pass, however Bruno Fornaroli is in offside. New attacking attempt. Ritchie de Laet - Melbourne City FC - shot with left foot from the centre of the box is saved in the left corner. Assist - Harrison Delbridge with a head. Shot blocked. Florin Berenguer - Melbourne City FC - shot with right foot from outside the box is blocked. Assist - Ritchie de Laet. Lachlan Wales - Melbourne City FC - won a free kick in defence. Tom Doyle - Wellington Phoenix - won a free kick in defence. Corner - Wellington Phoenix. Conceded by Eugene Galekovic. New attacking attempt. Sarpreet Singh - Wellington Phoenix - shot with left foot from outside the box is saved in the top centre of the goal. David Williams - Wellington Phoenix - won a free kick in attack. Kearyn Baccus - Melbourne City FC - won a free kick in defence. Missed chance. Kearyn Baccus - Melbourne City FC - shot with right foot from outside the box goes high after corner. Corner - Melbourne City FC. Conceded by Andrew Durante. Corner - Melbourne City FC. Conceded by Mandi. Shot blocked. Riley McGree - Melbourne City FC - shot with right foot from the centre of the box is blocked. Assist - Lachlan Wales. Offside - Wellington Phoenix. Filip Kurto with a pass, however Sarpreet Singh is in offside. Florin Berenguer - Melbourne City FC - won a free kick in defence. Goal! Melbourne City FC 1, Wellington Phoenix 0. Ritchie de Laet - Melbourne City FC - shot with right foot from outside the box to the left corner. Assist - Lachlan Wales. Sarpreet Singh - Wellington Phoenix - receive yellow card for a foul. Scott Jamieson - Melbourne City FC - won a free kick in attack.